Come bond over the world's favourite drink. 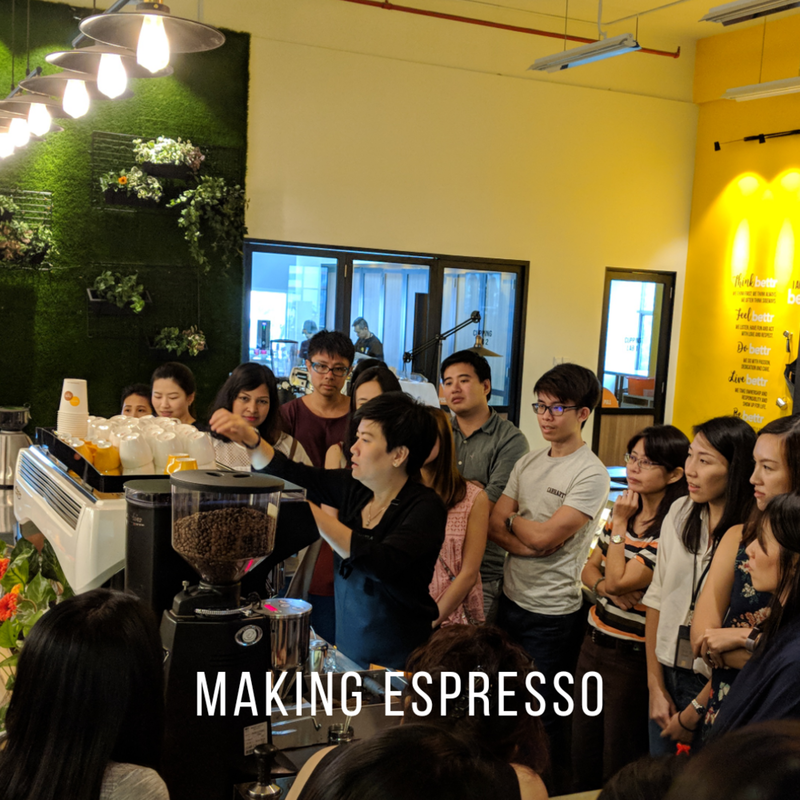 Our coffee themed workshops are crafted to deliver a fun and interactive teambuilding experience for groups of all sizes and across industries. 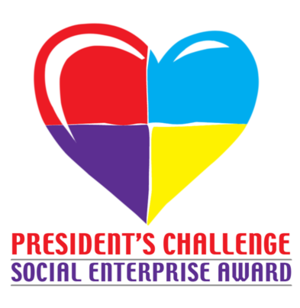 We also have programmes adapted for youth, schools and special populations, and can entertain large groups of up to 150 or more people. When and where was coffee first discovered? How did it spread around the world? We'll introduce these and some other great stories around coffee...and even debate about whether it's really better than a good old Singaporean kopi-O. 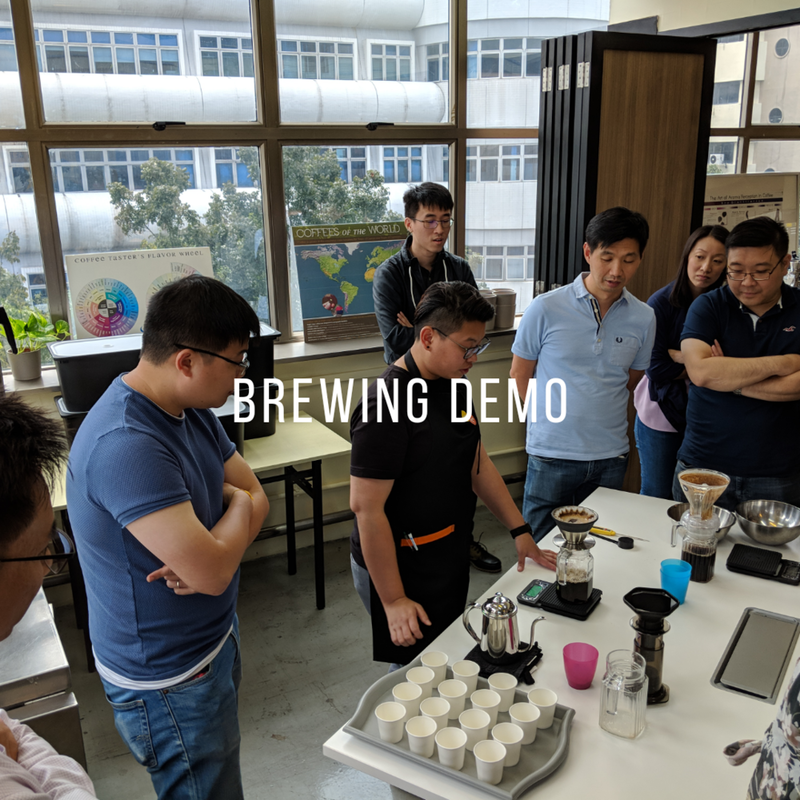 Smell and taste your way around the various aromas and flavours that can be found in coffee - through an interactive activity that will tap on your senses. You'll be surprised at what you can detect! Watch hand brew techniques in action and discover the elements of an ideal brew as our trainers demonstrate various methods including the V60 and Aeropress. Fancy yourself as a latte artist? What about a coffee cocktail mixologist? 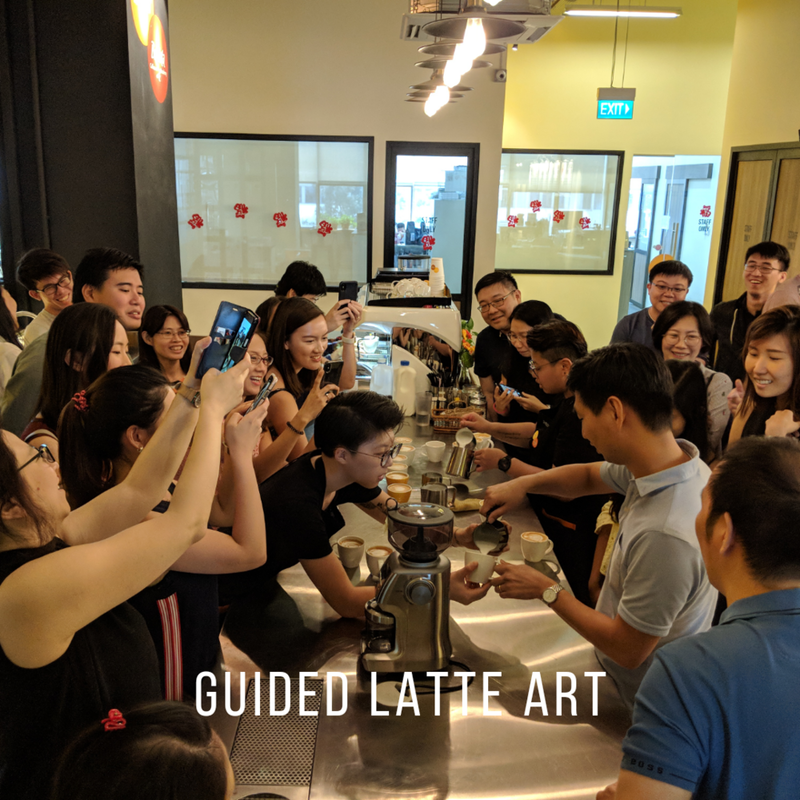 Dabble in latte art, brew up a signature drink, pit your skills against your teammates in our Great Barista Challenge, or indulge in a coffee and kueh pairing. 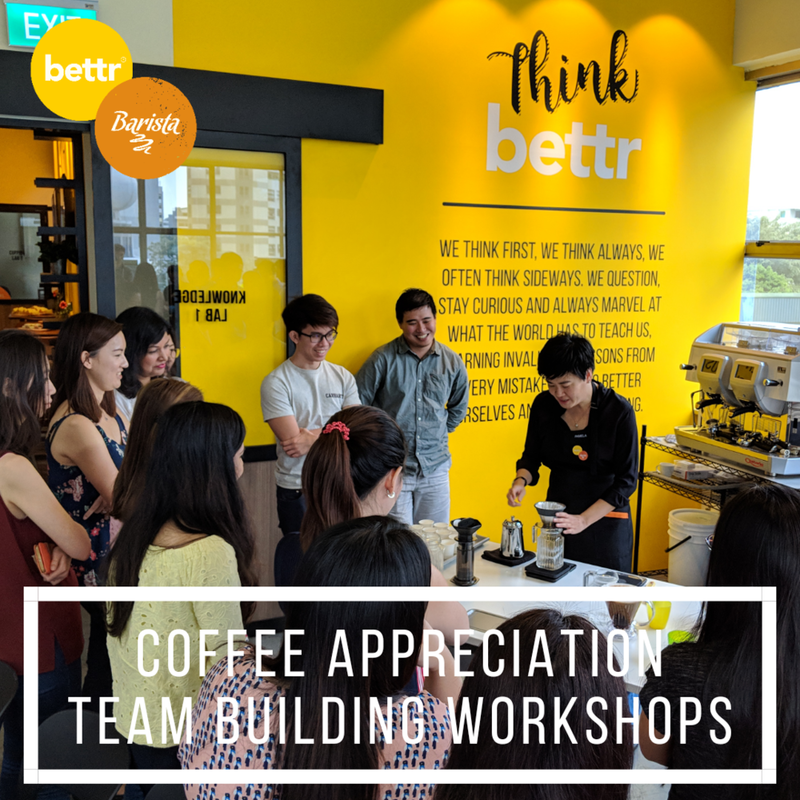 We bring our love for coffee and our passion for lifelong learning into each and every teambuilding experience, and we look forward to sharing as much as we can with as many people as we can. 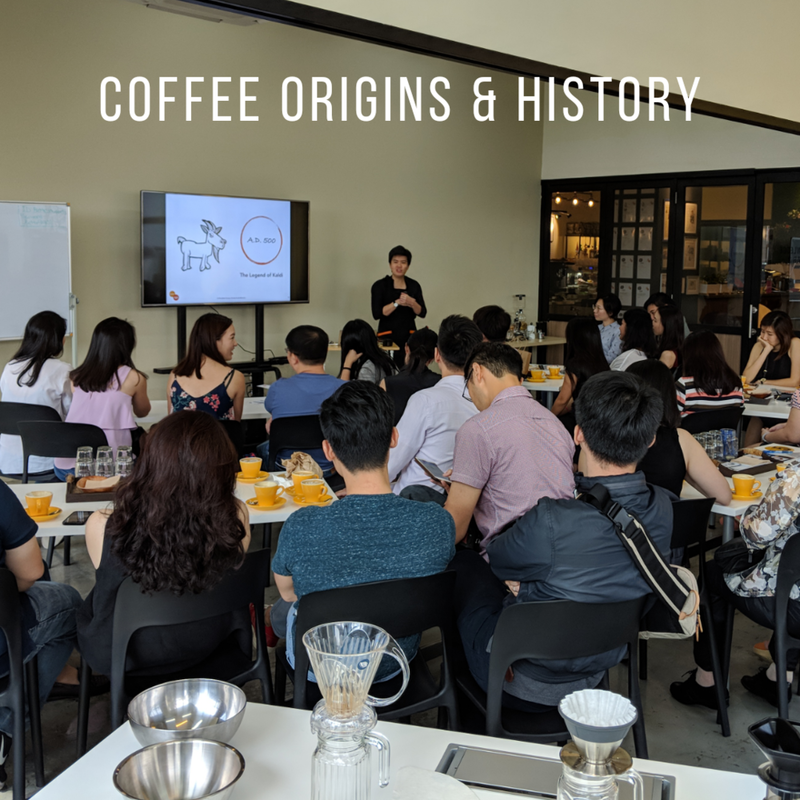 Our trainers are also ACTA-qualified adult educators, internationally certified by the Specialty Coffee Association, and industry professionals who are specialists in their respective fields. At Our Place, Or Yours! All workshops can be conducted at our 6,000-square-foot learning space, or we can bring the experience to you, at a conducive venue of your choosing. Ask us about learning journeys, school programmes and large group programmes for 150 or more people. Every time you engage the Bettr Experience Team, you're directly contributing to our efforts to change more lives through coffee, and we thank you for your support.